Blog Can I get an Amen? 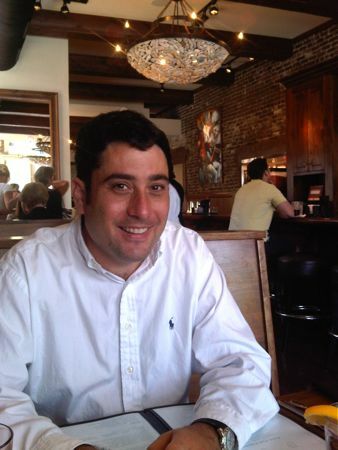 Today I met my broker Chris Brand of Brand Name Real Estate, at Amen St. restaurant. Amen St. replaced the pitiful tourist trap known as the Crab Shack on the corner of Cumberland and East Bay. Now this brand new restaurant is Brand Name Real Estate’s most convenient eatery, and is far superior to the previous establishment. The menu has lots of good sounding options. Our group of three ordered the Chef Todd’s shrimp corn dogs as a starter, the fried green blt, the shrimp po boy, and the ceviche. 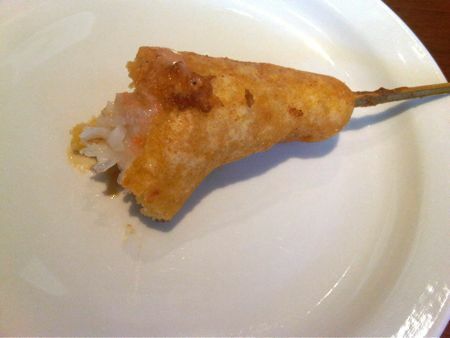 The shrimp corn dogs were as silly as they sound, and everything else was equally underwhelming. My ceviche was mostly pineapple which was overpoweringly sweet. The food might be ho hum but the decor is lovely. The bar is nicely designed and everything is comfortably classy. This is a great place to spend a working happy hour. I also must add that the oysters seem to be the specialty, but I’m a local and August does not have an “R” in it. It just doesn’t seem right to eat oysters in anything but an “R” month. I’ll make sure to come back in September.